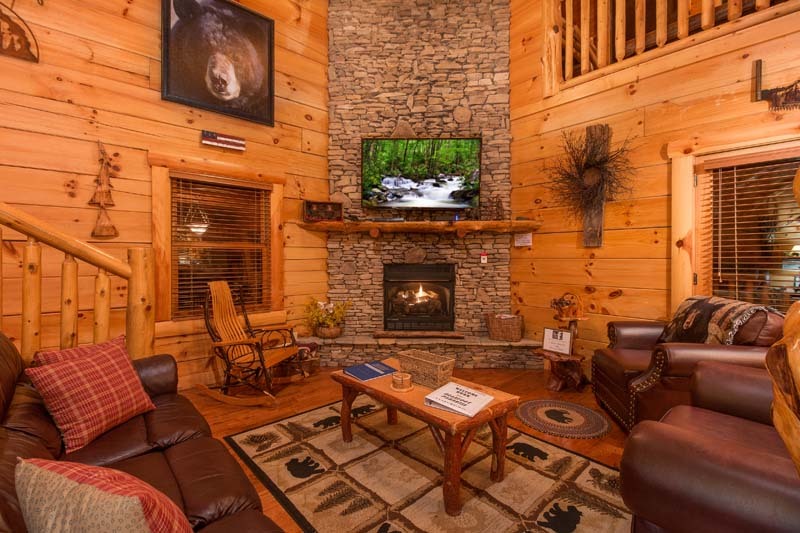 Bearfoot Paradise is packed with all the comforts of home plus some extras! 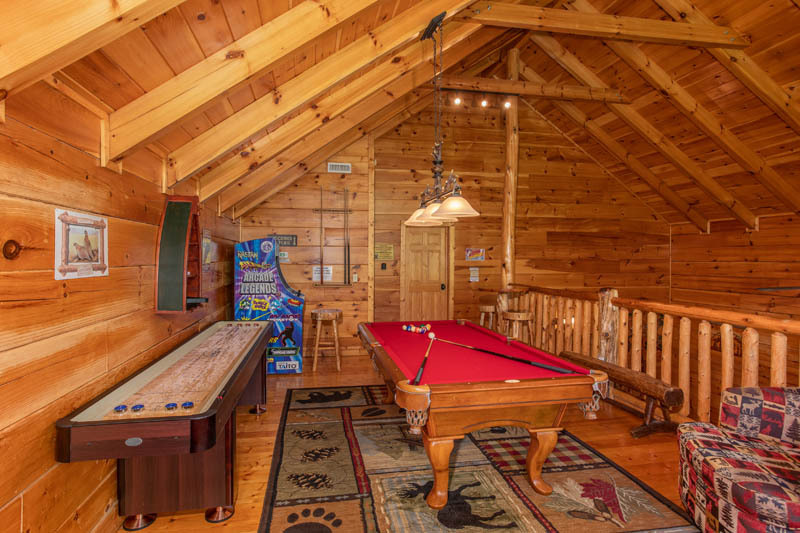 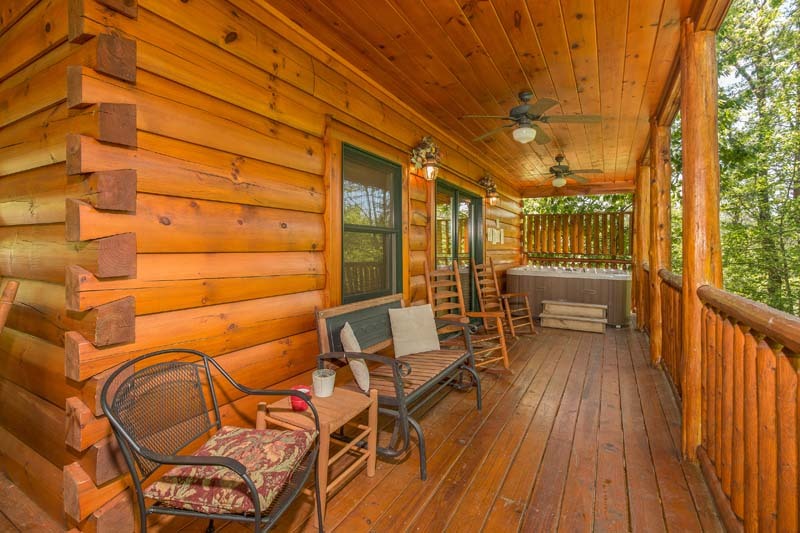 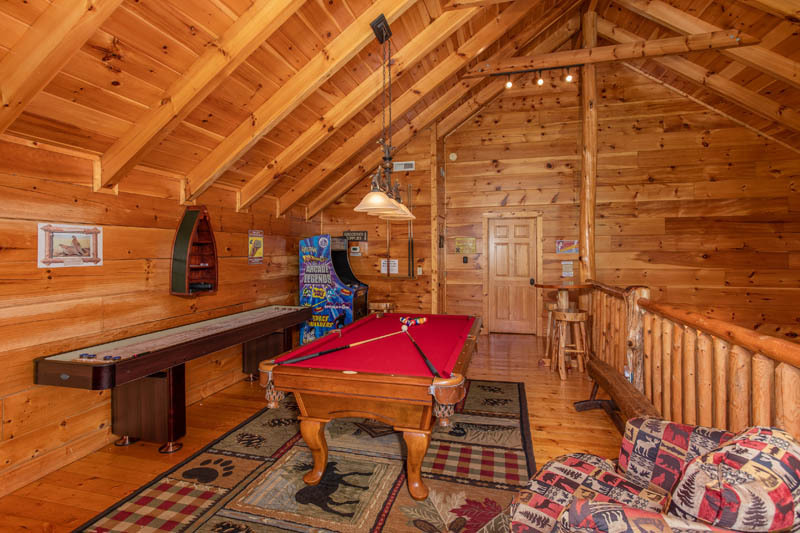 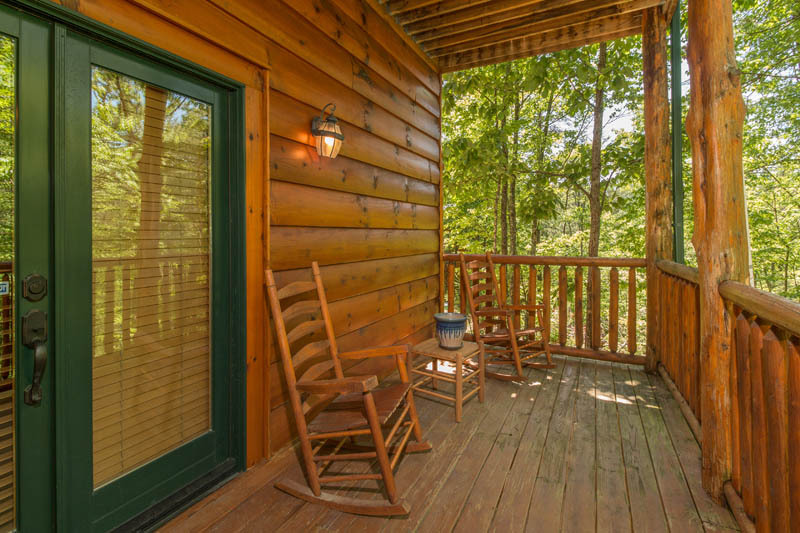 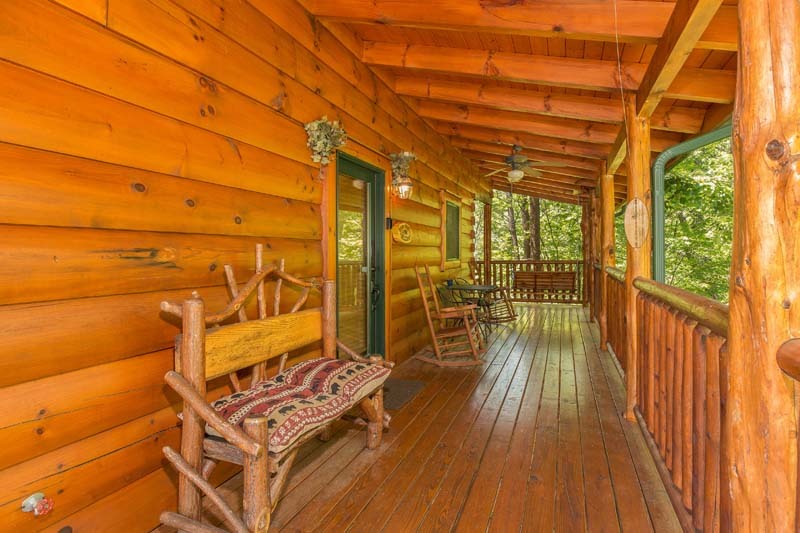 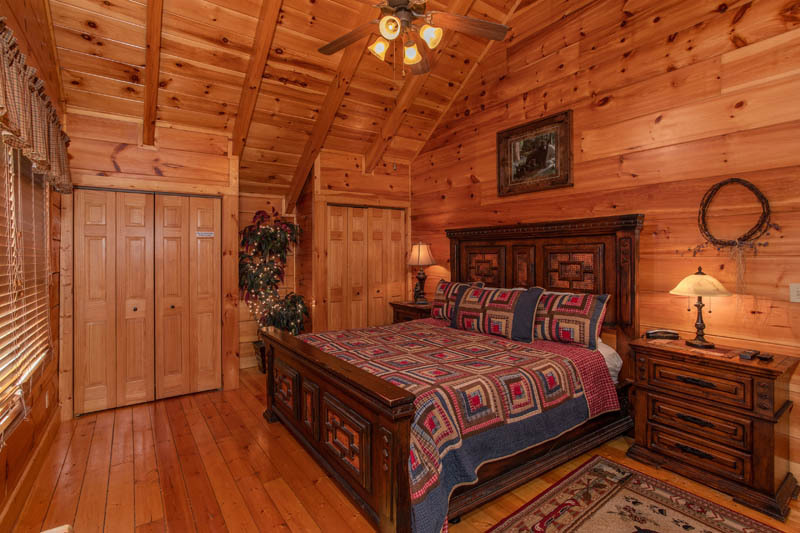 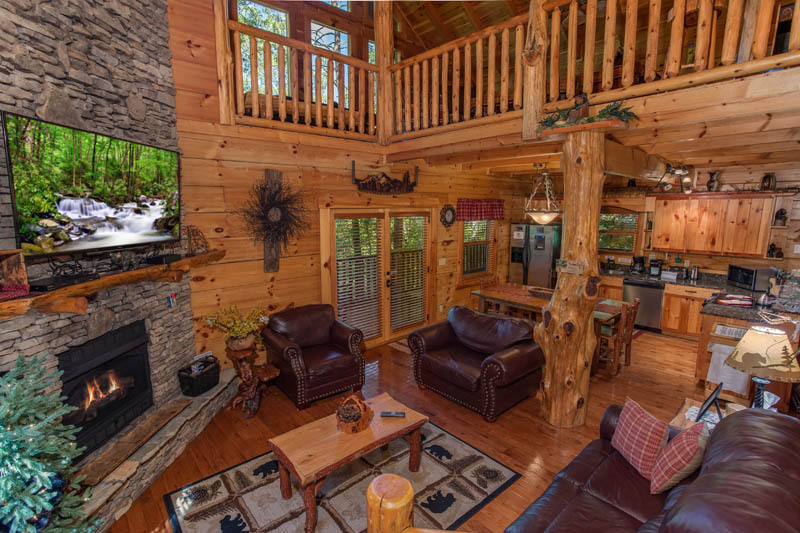 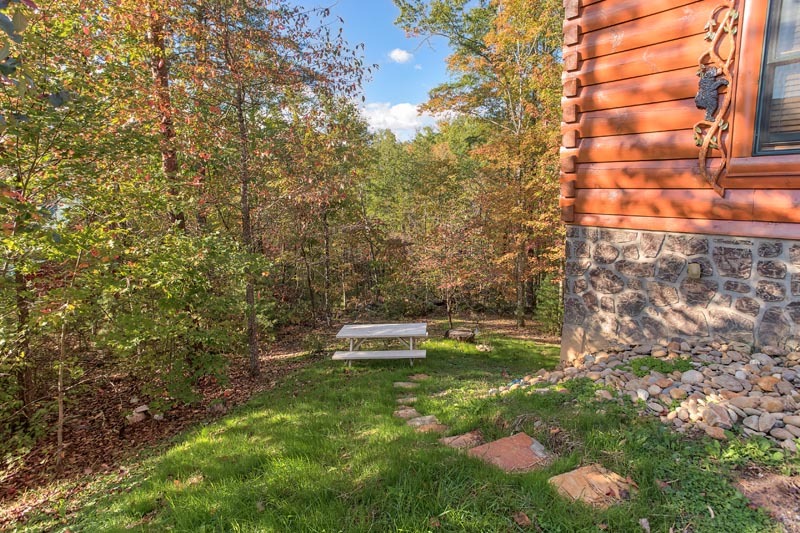 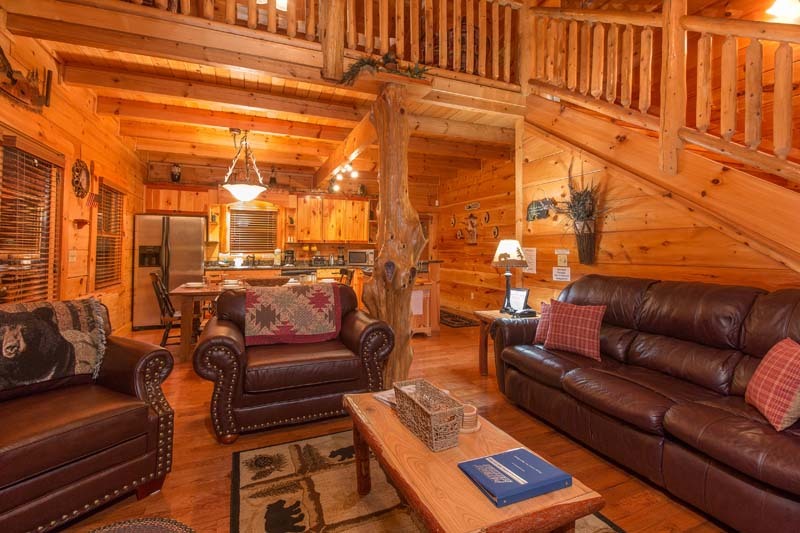 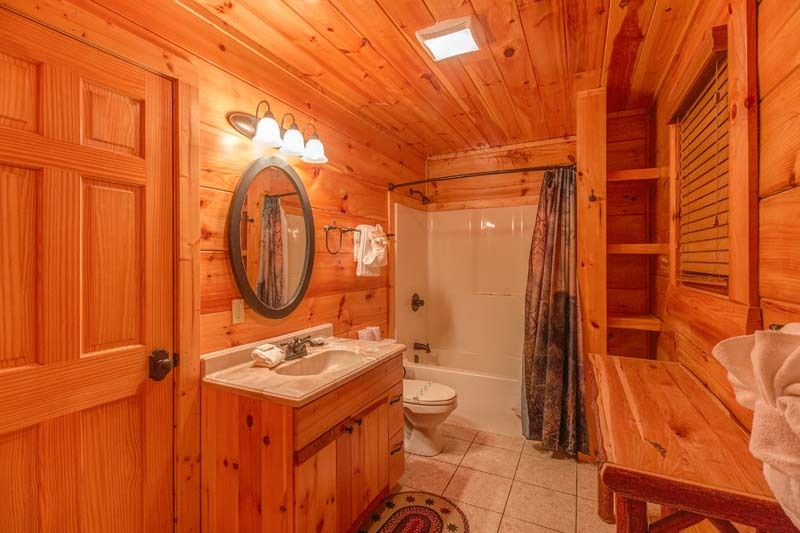 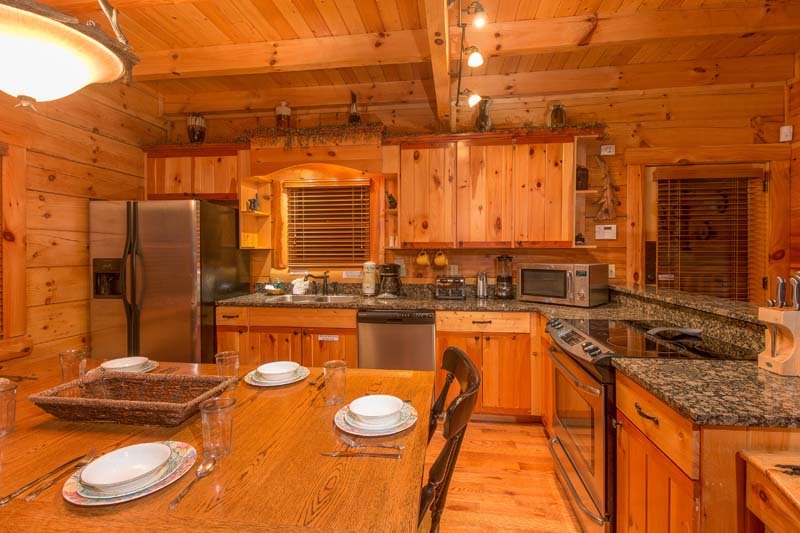 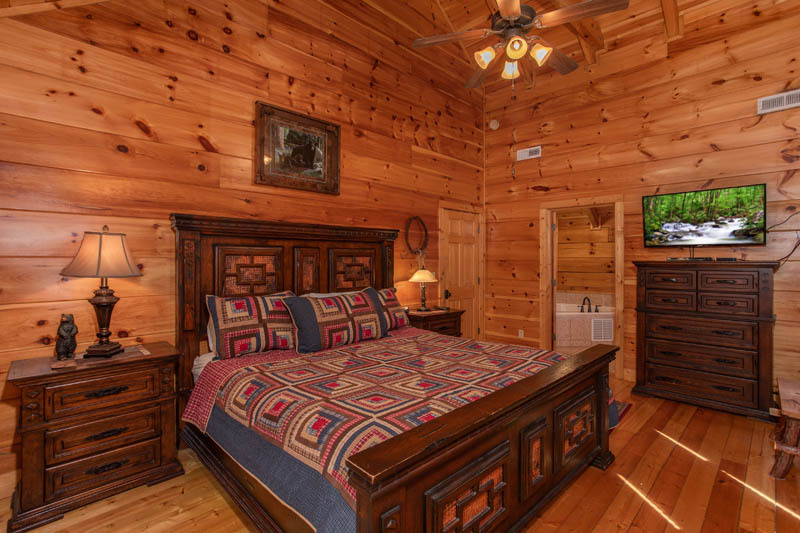 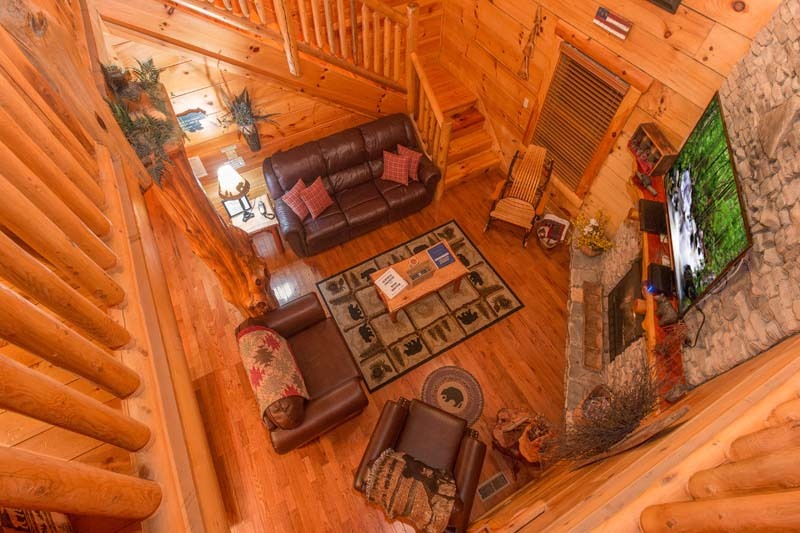 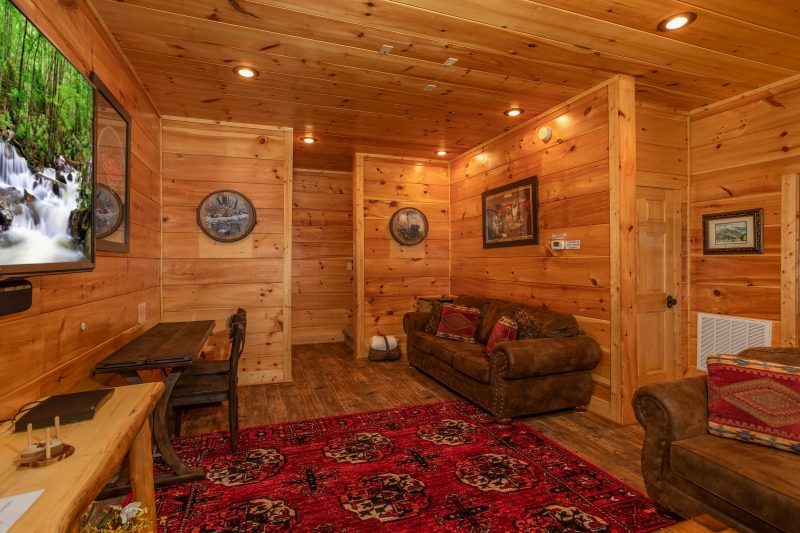 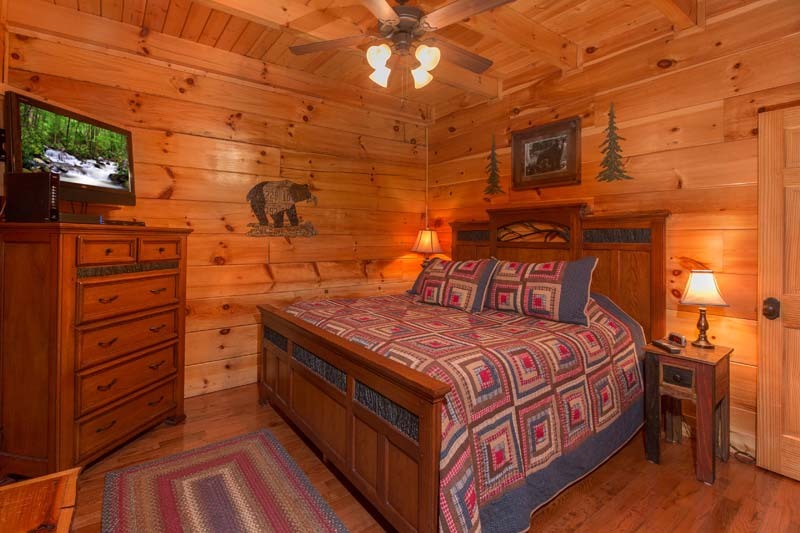 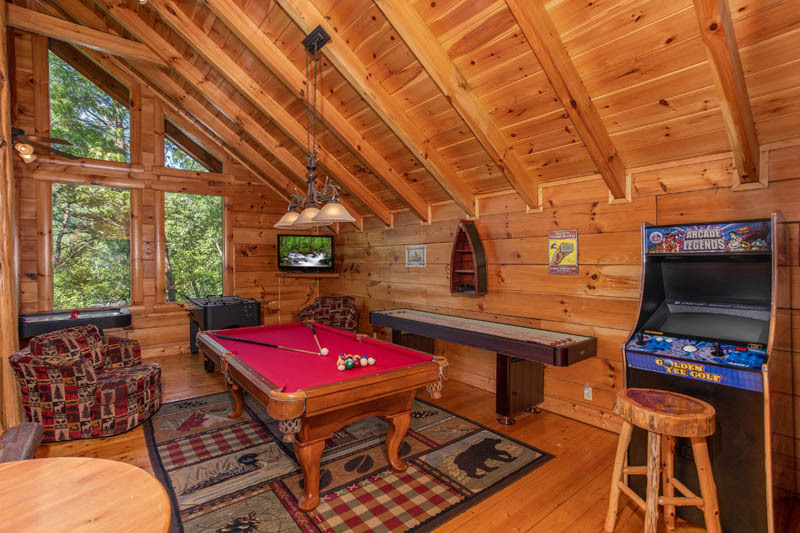 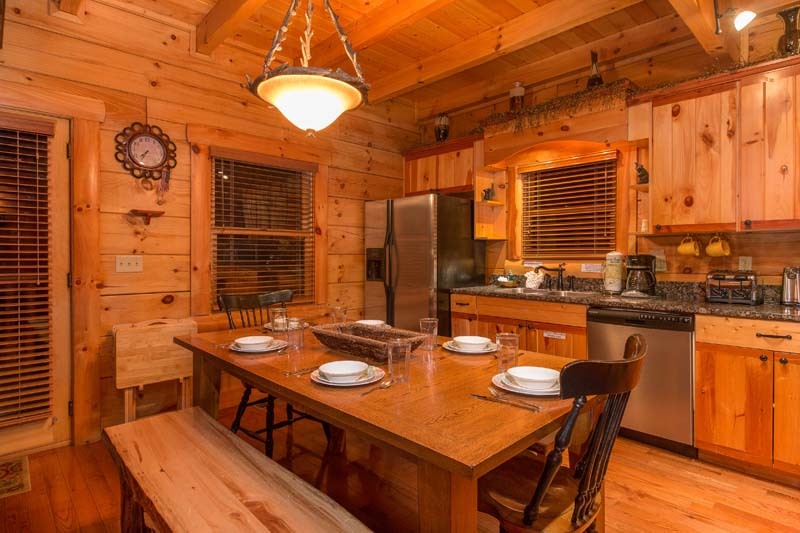 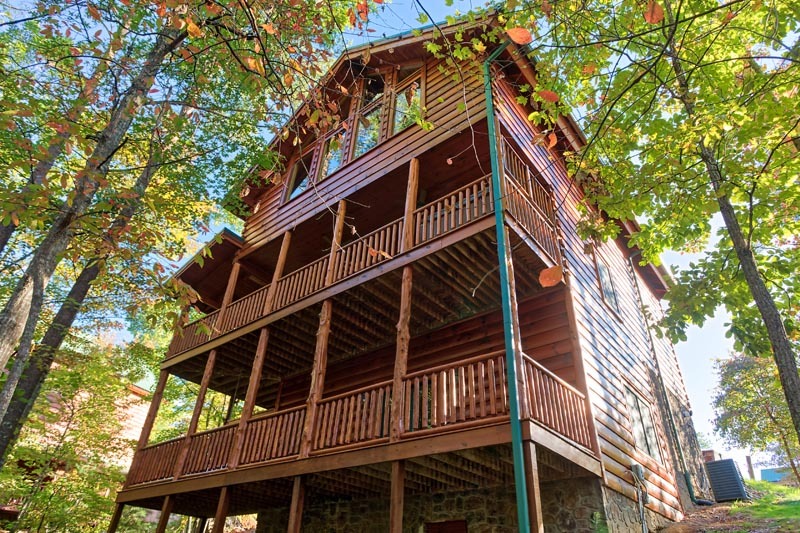 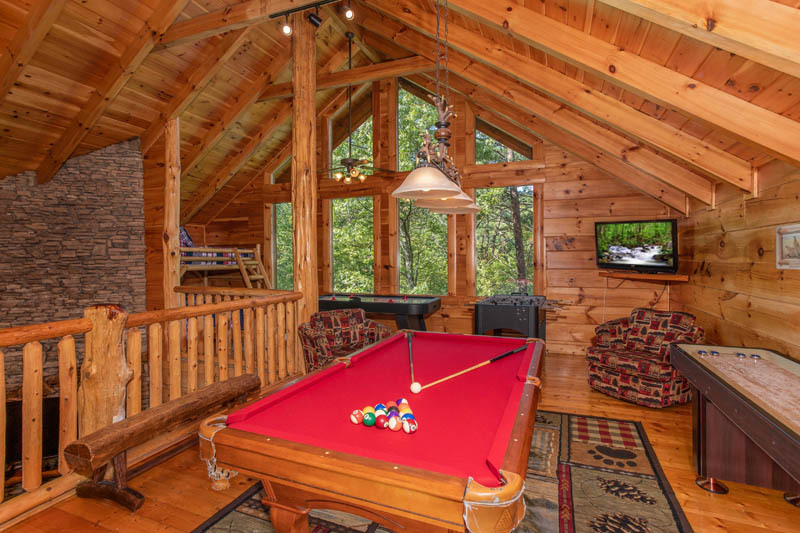 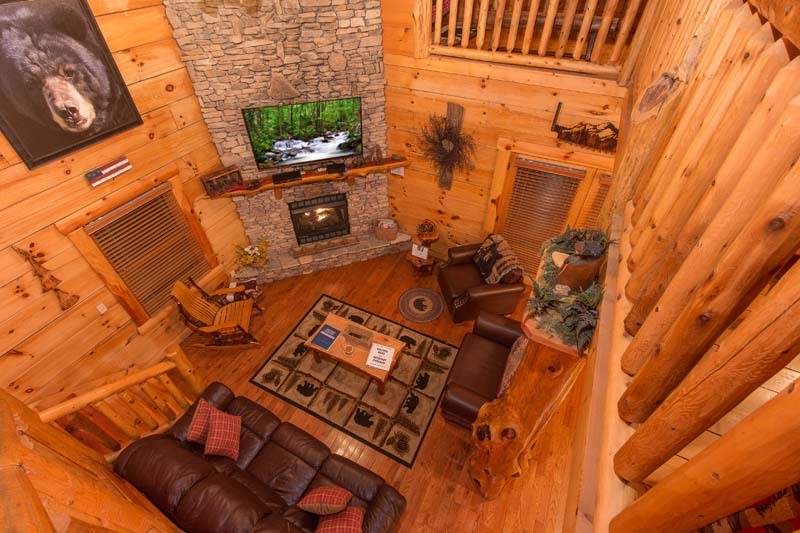 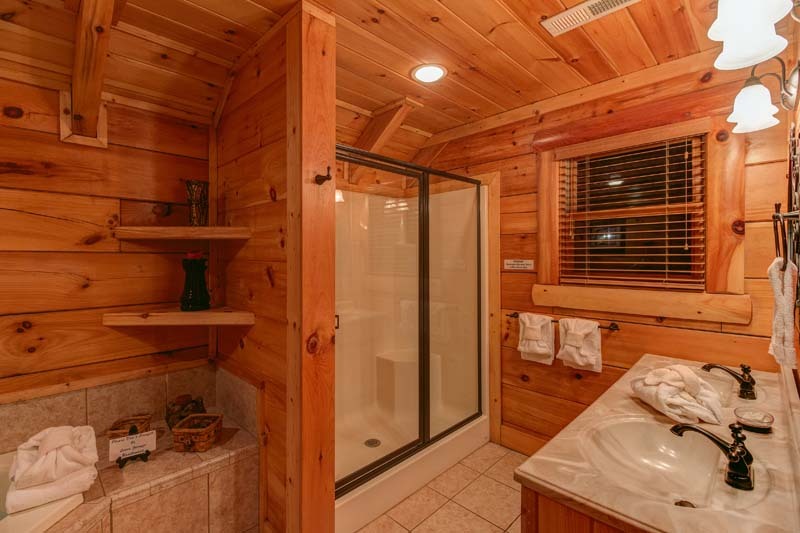 The rustic ambiance welcomes you to this tri-level cabin with a king suite on each floor. 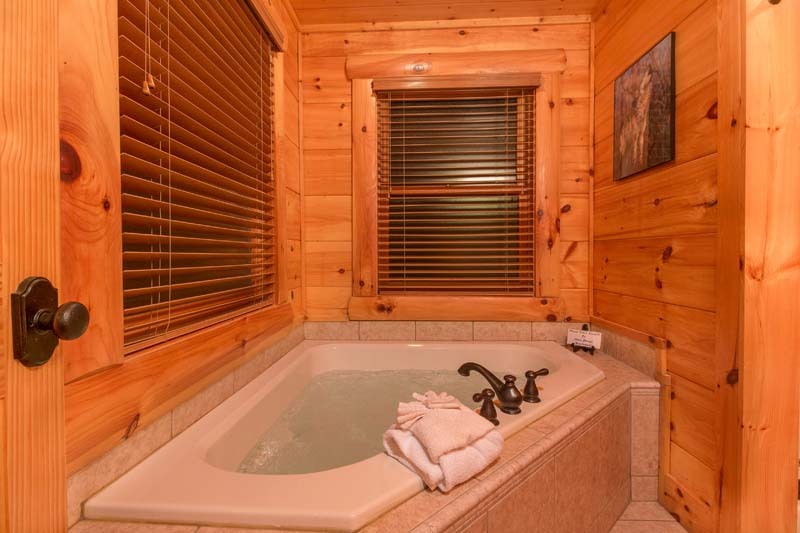 Each king suite bathroom features a jetted tub and walk in shower. 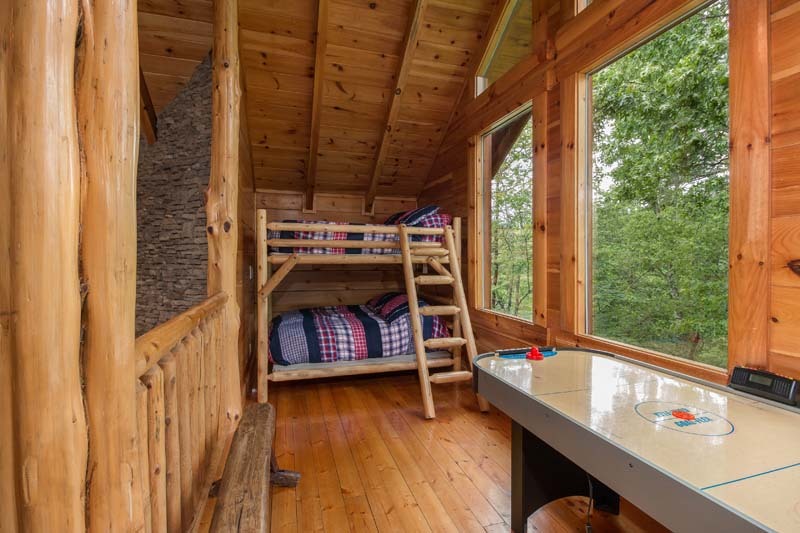 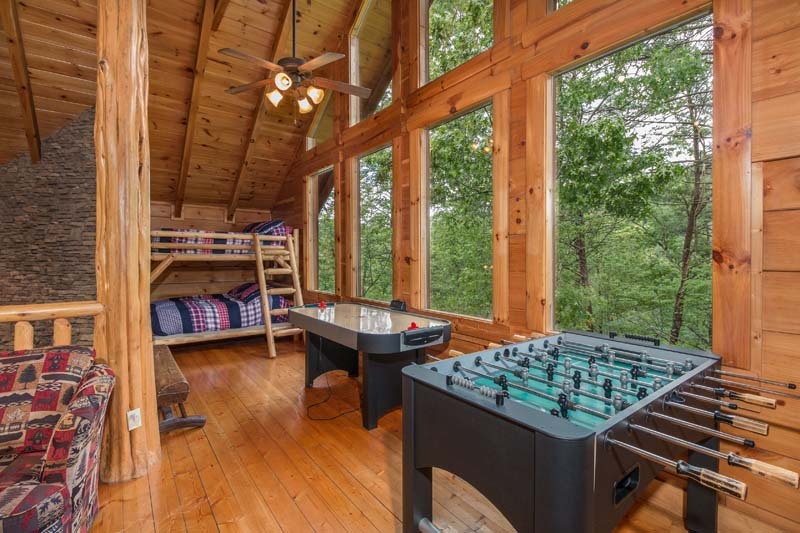 Read on to see how this cabin sleeps 16 people in complete comfort. 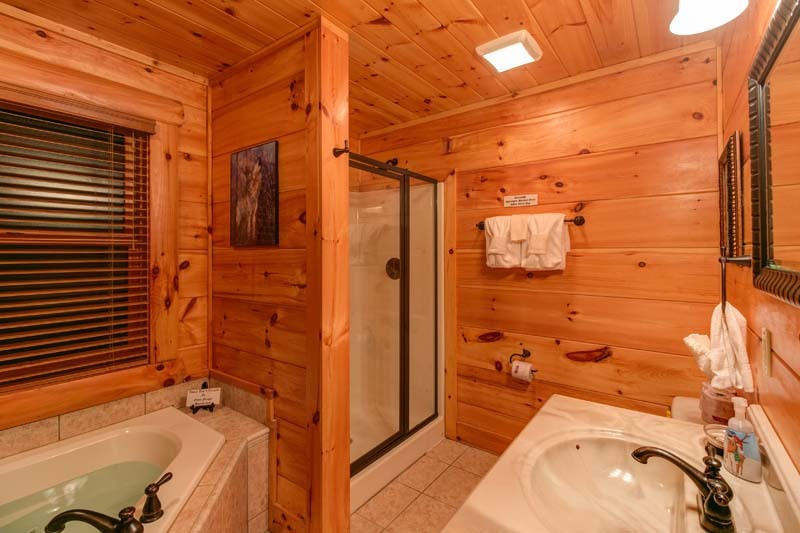 ~Main floor king suite; shower/tub combination in the bathroom. 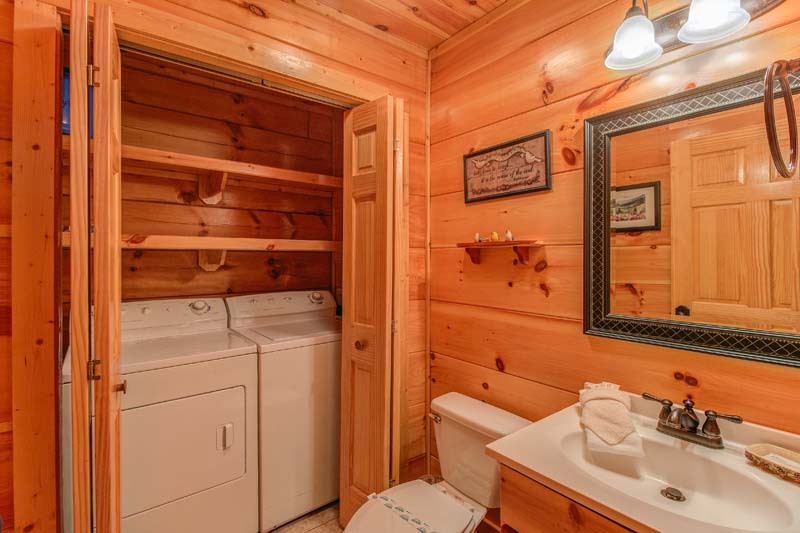 ~½ bath in the laundry room with full size washer and dryer. 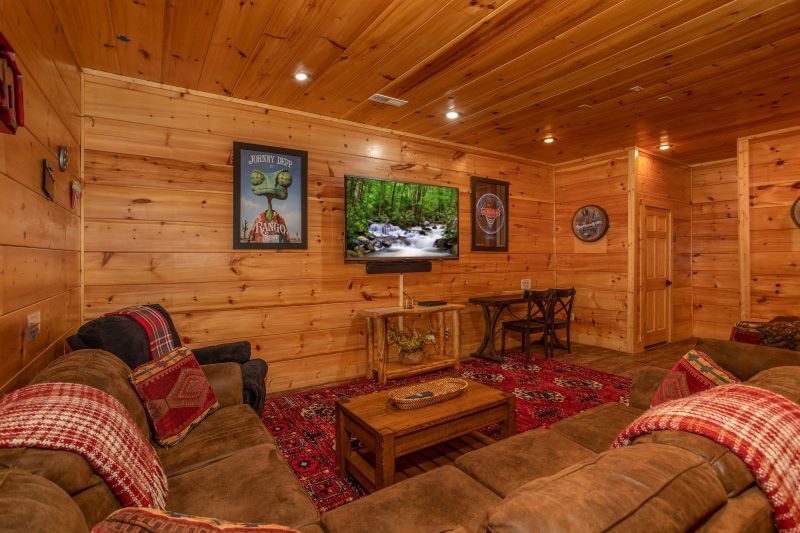 ~Personal theater experience with surround sound, DVD player and 70″ TV. 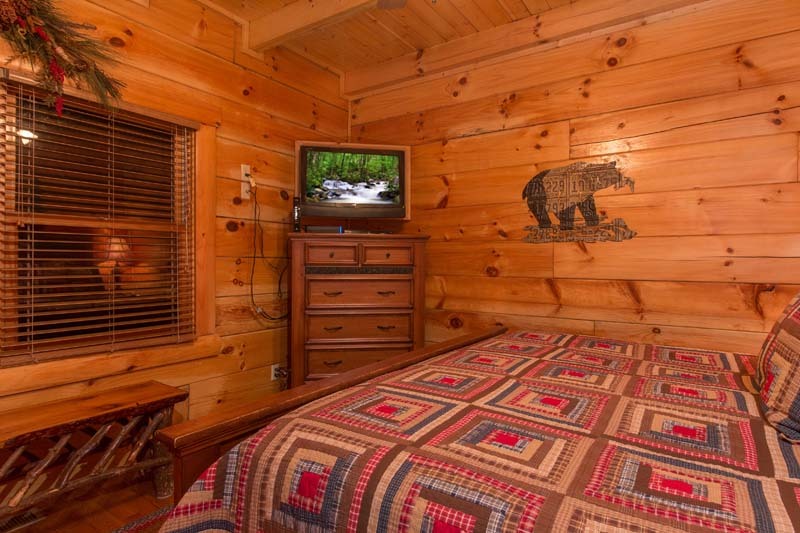 Theater allows four people to sleep on large, queen futon and queen sofa sleeper with memory foam mattress. 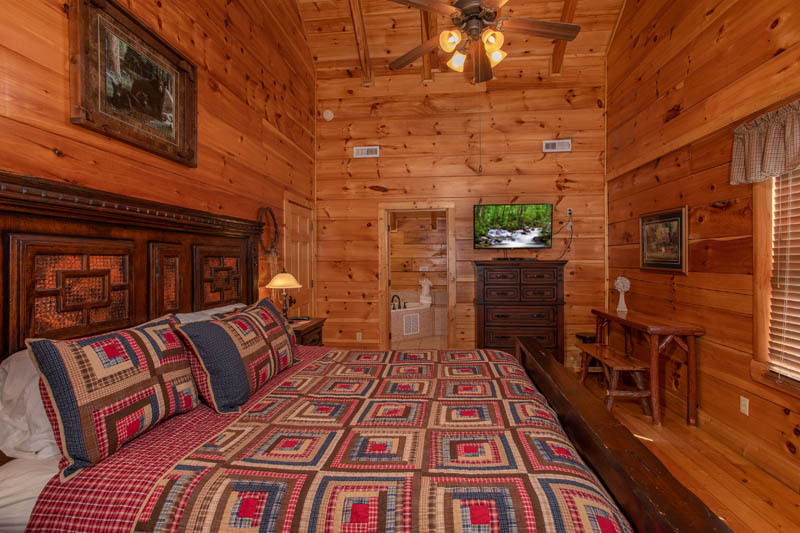 Pillows and throws for watching movies or sleeping. 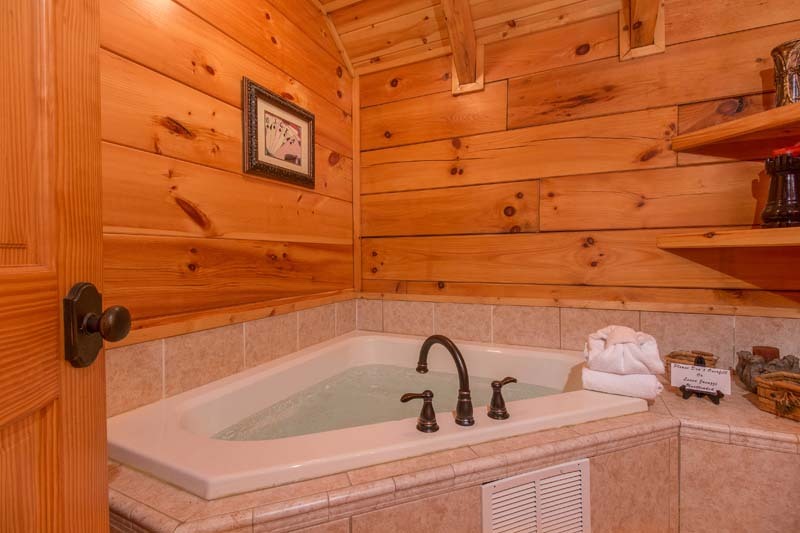 ~Second master bedroom features gas fireplace; attached bath with jetted tub and walk in shower. 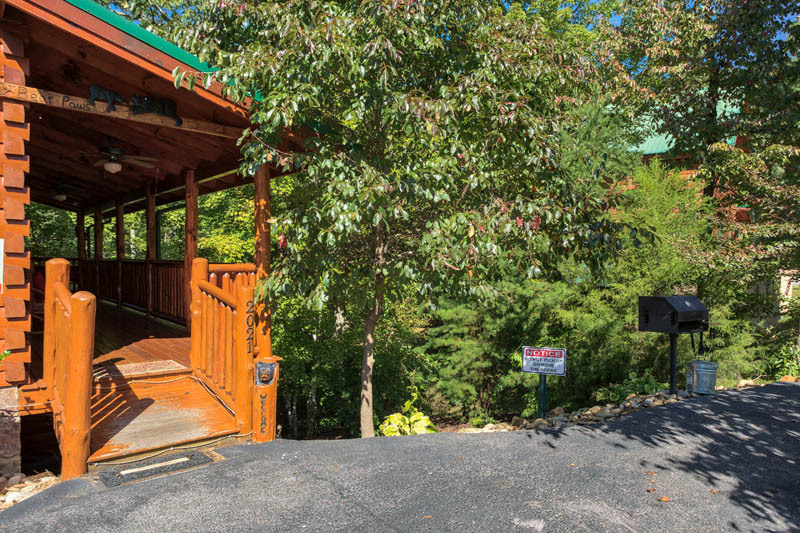 Private exit to lower deck. 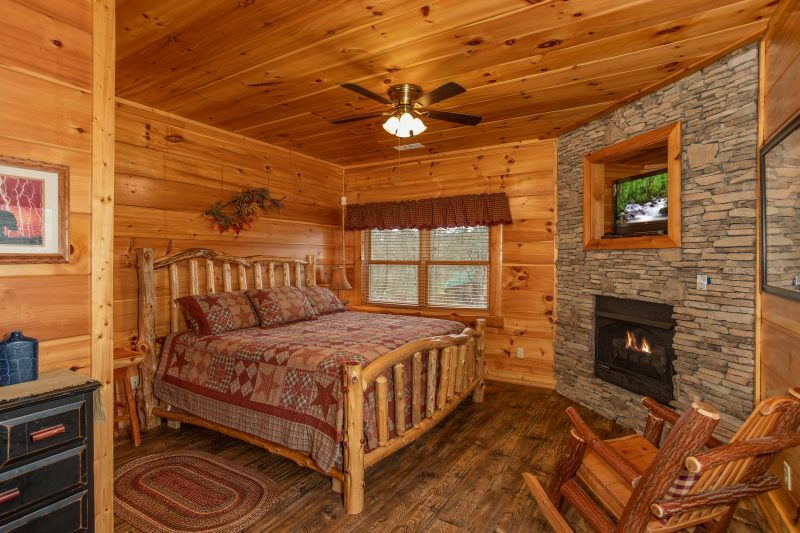 Perfect place to retire after a long day exploring the mountains. 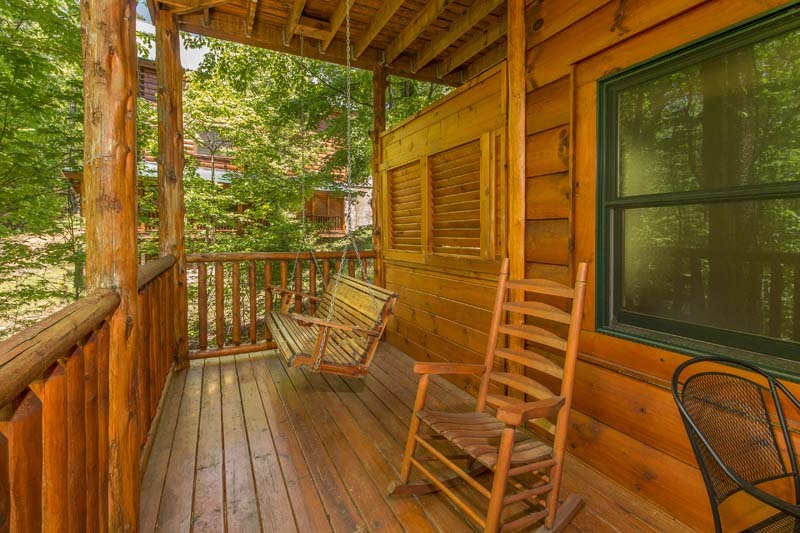 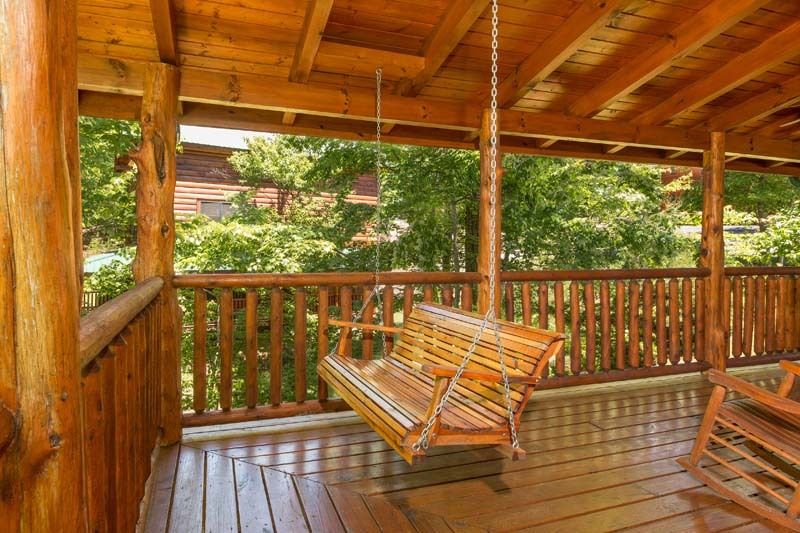 ~Wrap around style; relax in rocking chairs and a charming swing. 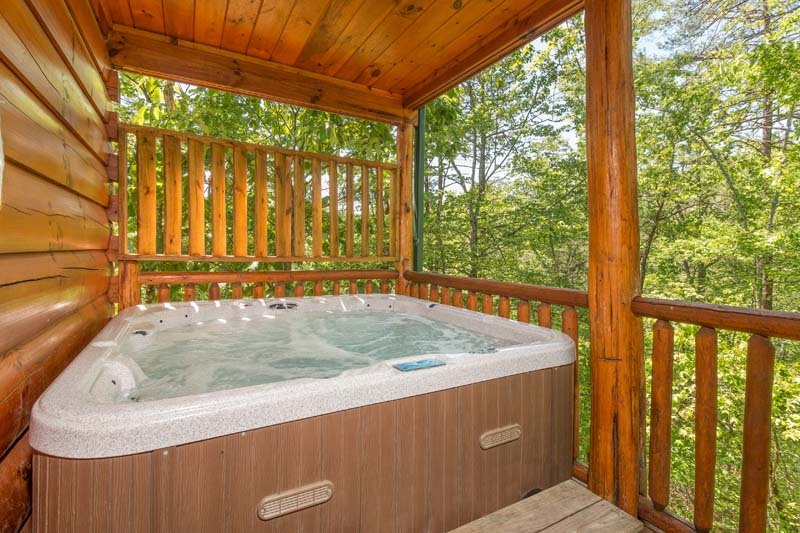 Soak in 6-person private hot tub. 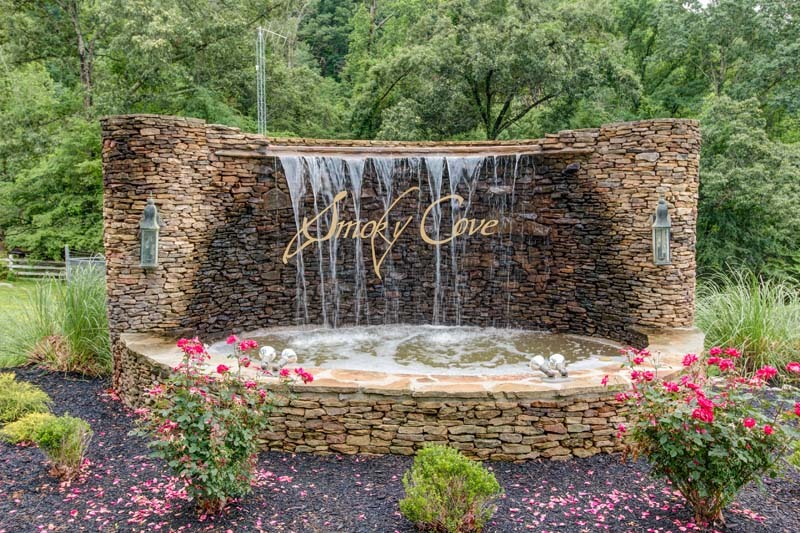 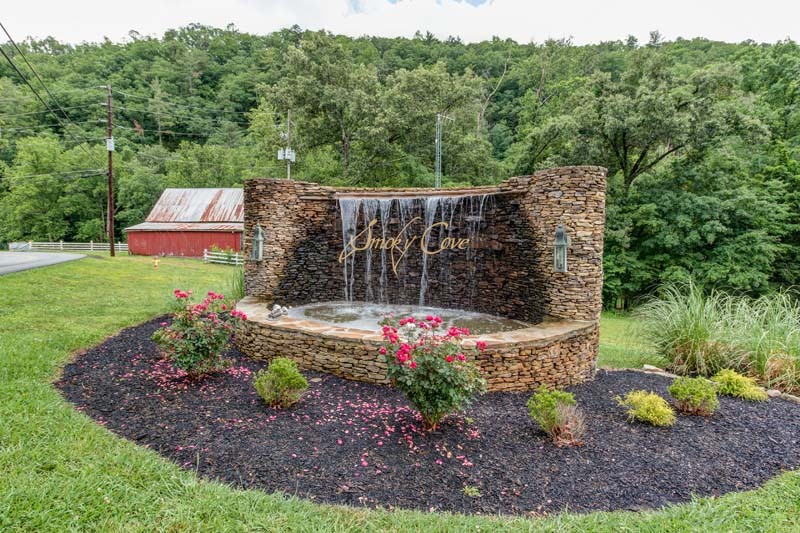 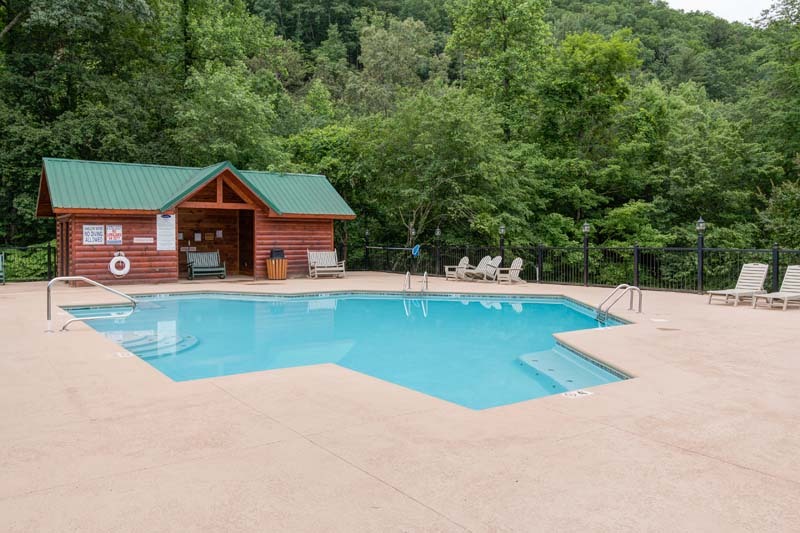 ~Nestled on the side of Bluff Mountain in the exclusive Smoky Cove resort, find a tranquil mountainside to return to after your day in the mountains or surrounding areas. 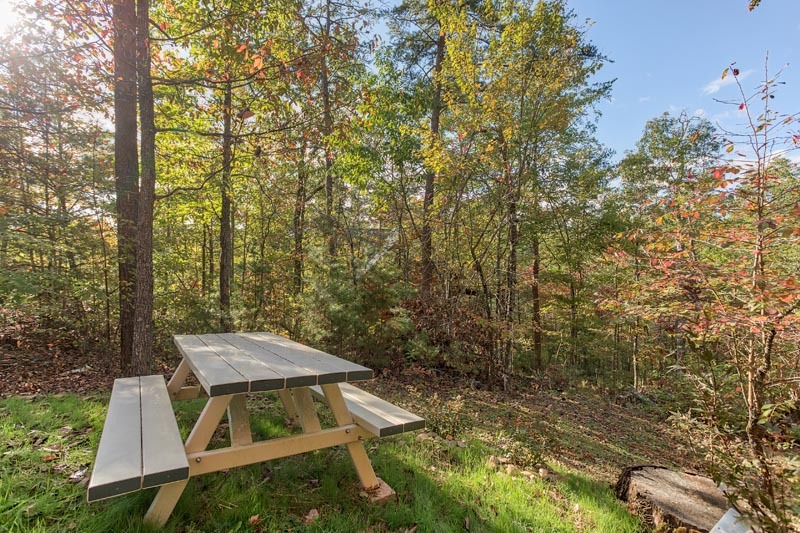 ~Dine outdoors at the picnic table; use charcoal grill. 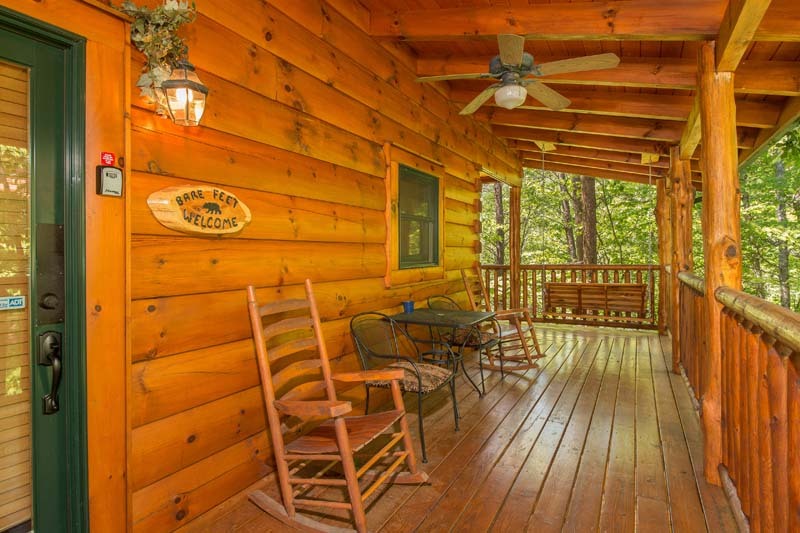 Enjoy smells and sounds of the forest. 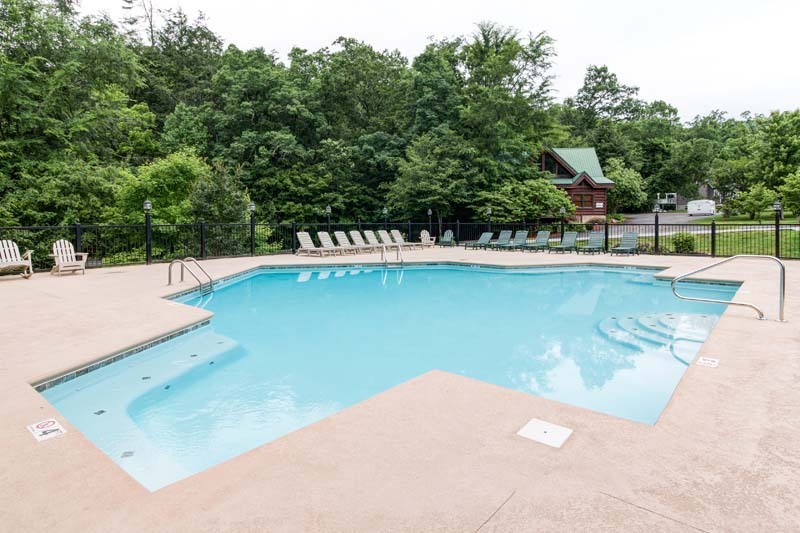 ~Seasonal outdoor community pool, lunch at the picnic area then play horseshoes before enjoying bonfire in community area. 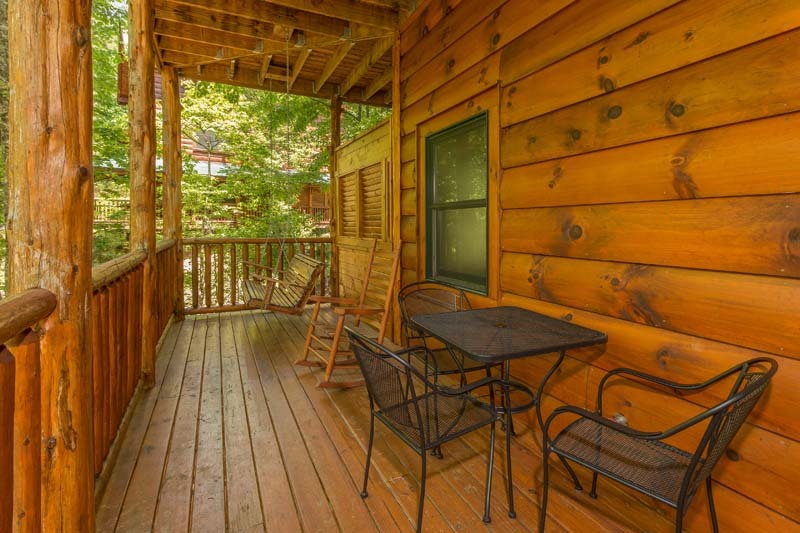 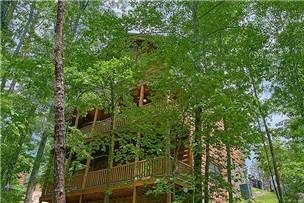 ~From the doorstep of Bearfoot Paradise to the heart of Pigeon Forge is a 15 minute drive. 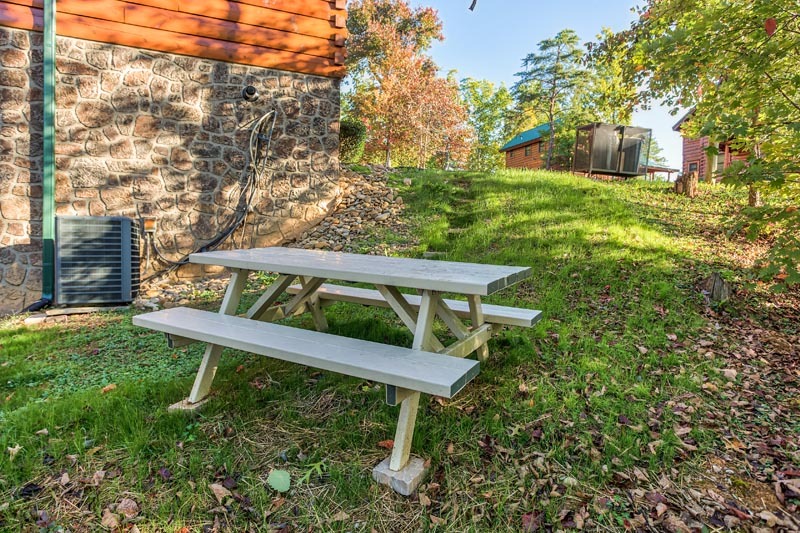 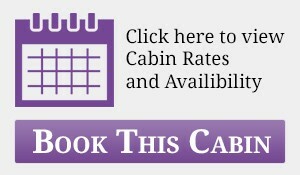 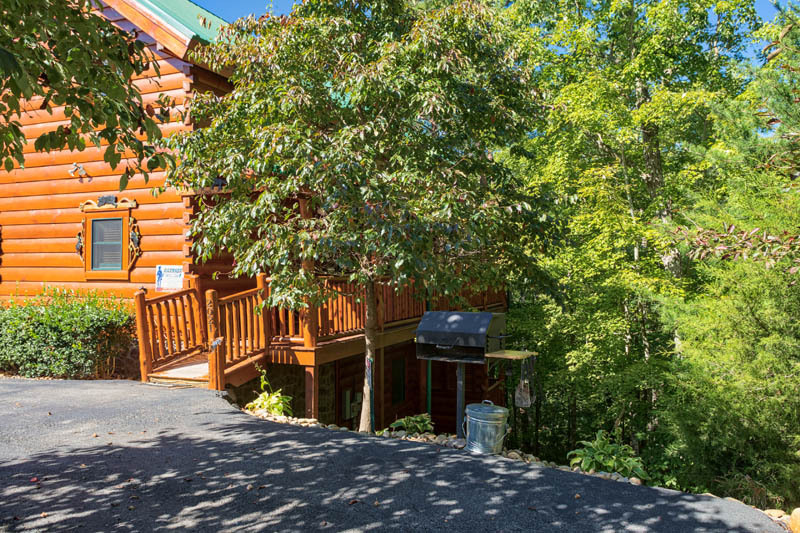 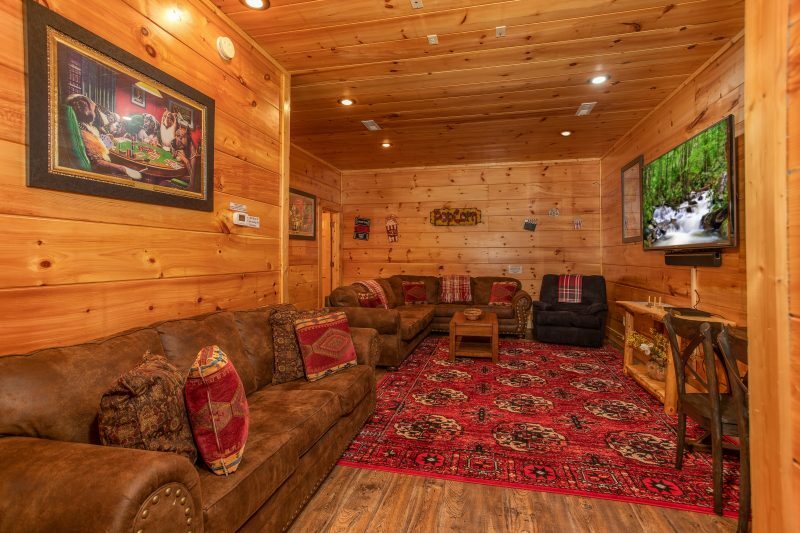 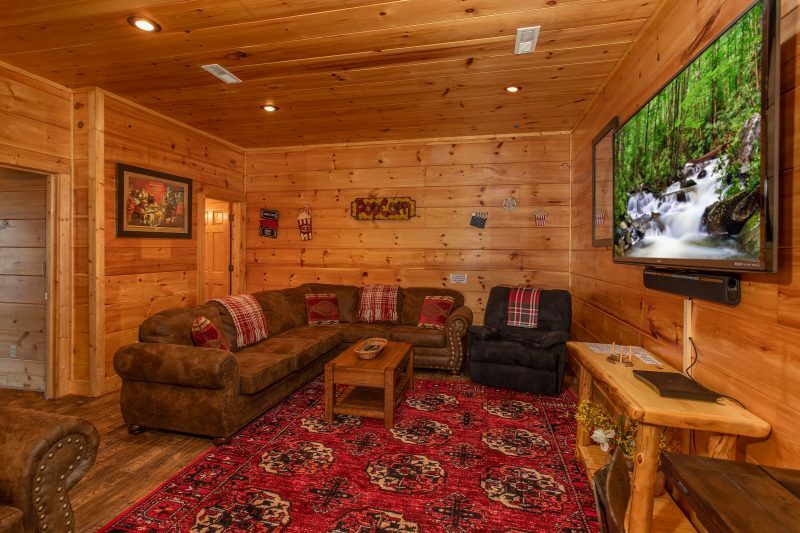 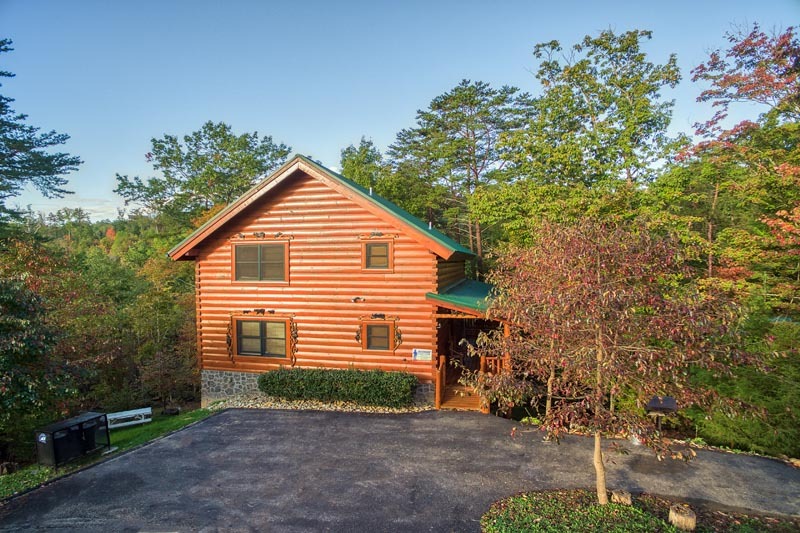 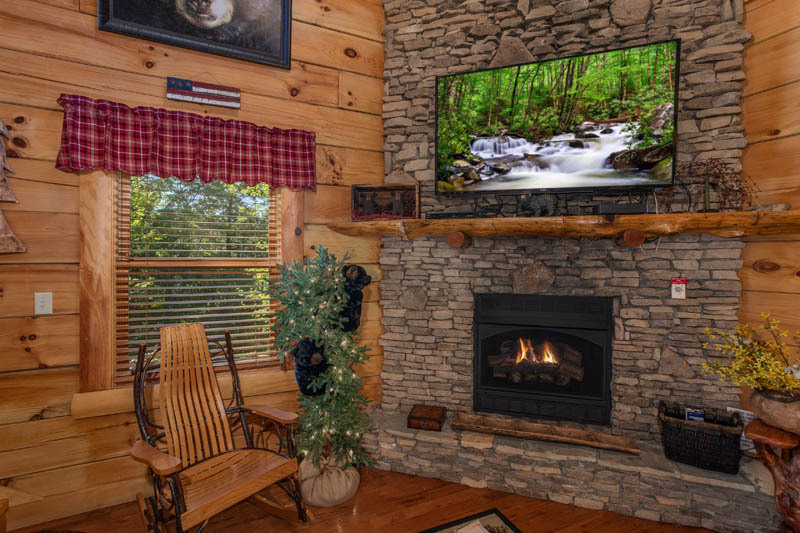 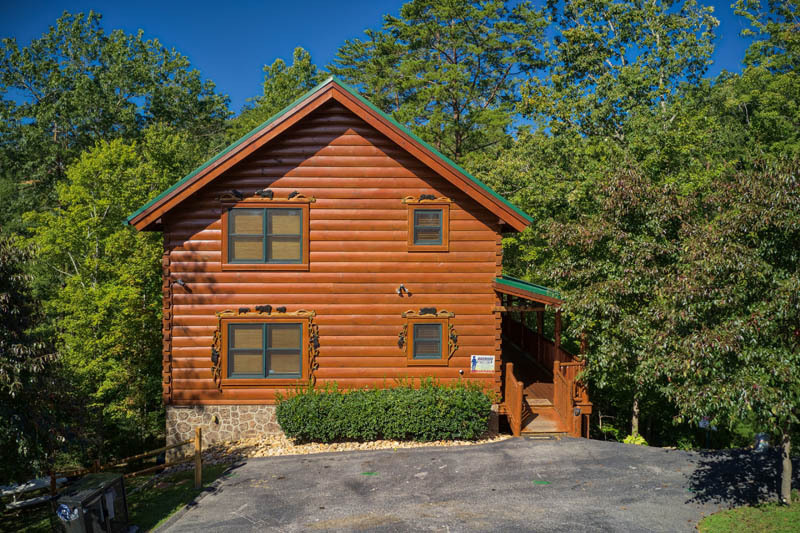 All the My Bearfoot Cabins offer zero Parkway driving to Cades Cove, Metcalf Bottoms picnic area (continue on to Gatlinburg), Alpine Coaster rides, two horseback riding stables, two zip lines, Dollywood, The Island at Pigeon Forge, Kroger, Publix, and Tanger Outlet Mall. 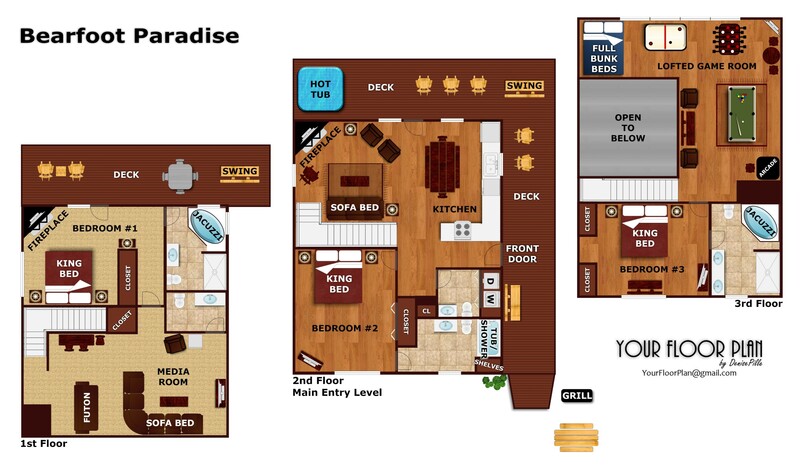 ~Come to Bearfoot Paradise; be immersed in luxury, comfort, fun and quick access to everything you want to do. 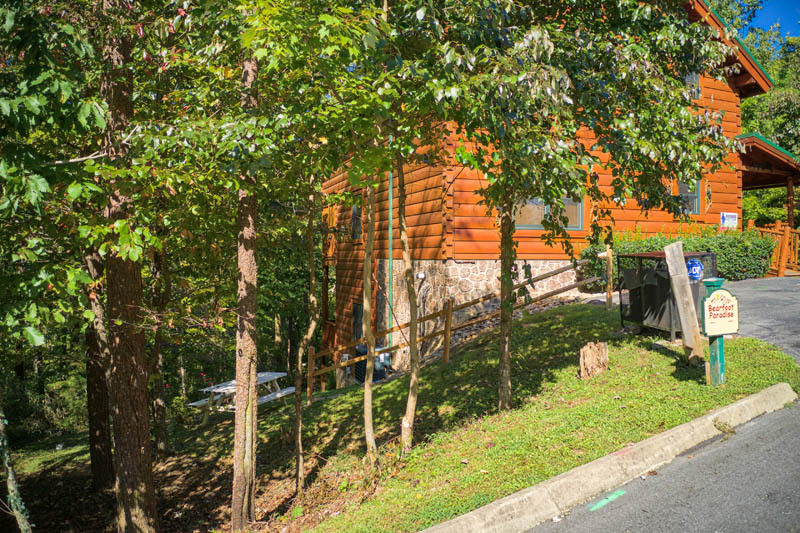 Plenty of parking space.